Order pizza online in Las Vegas through Pop Up Pizza! We’ll bring hot, delicious, downtown-style pizza to your doorstep day or night. 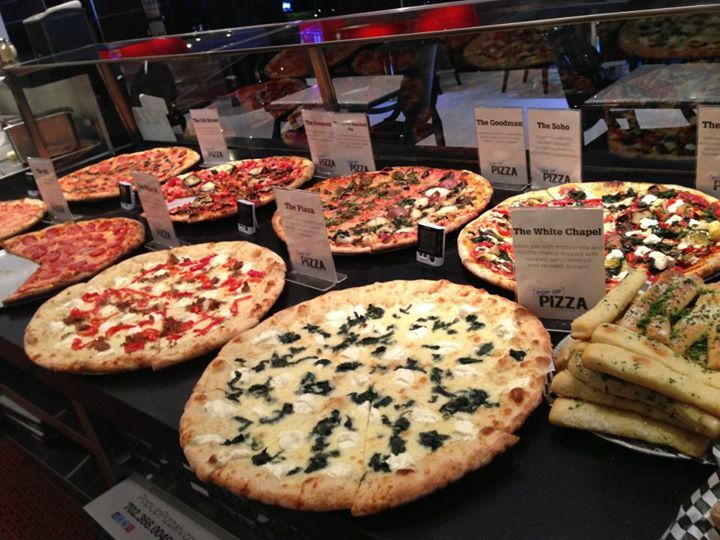 If you haven’t already tried our popular pies, now is the time to stop and smell the pizza. Order Online for Pizza on the Go! Choose from our signature pies when ordering online, or try one of our gourmet vegan options. If nothing on the menu tickles your fancy, feel free to create your own custom pizza. We create each pizza by hand from scratch and bake it to perfection. From there, our pizzas go straight from our ovens to your doorstep. We are open daily from 11am to 2am, meaning you can order a pie, a few slices, or anything else to satisfy your appetite when that. To make the process even easier, you can order your pizza delivery in Las Vegas from your phone! Call us today at (702) 366-0049 or order online to get a taste of the best Fremont Street food today!